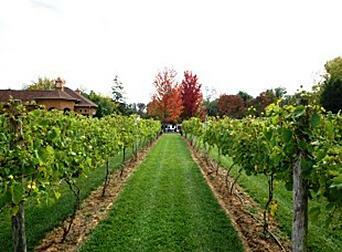 Located in northeastern Ohio, Gervasi Vineyard is a unique find in the Midwest. A well-known tourist magnet, Gervasi is a Tuscan-inspired winery that produces a wide array of wines based on Italian and international grape varieties. Gervasi is situated on the site of the former Jabberwocky Tree Farm, acquired by local Canton entrepreneur Ted Swaldo in 2009. Using his business savvy, Swaldo helped transform the property into a working vineyard and destination spot that draws visitors from all over. Named for his Italian grandmother, Swaldo sought to cultivate a real Italian feel at Gervasi, from the Tuscan villa-inspired architecture, to the restaurants and of course, the wines. The climate of northeastern Ohio is considered humid continental, common among many Midwestern states. Harsh winters with warm to mild summers often marked by thunderstorms are the norm here. As part of the States under ice during the last Ice Age, much of Ohio's soils are comprised of glacial deposits left over from when the glaciers retreated roughly 14,000 years ago. What this means for Ohio vineyards is reasonably fertile, well-draining soils which allow vines to dig deeply for nutrients and yield more grapes with more concentrated flavors. Gervasi has five acres devoted to the vine, with a highly diverse vineyard featuring a mixture of mostly Italian and international grape varieties. Not limiting themselves simply to growing certain Italian varietals, they also import wines straight from the motherland, including Moscato, Sangiovese, Barbera, and Nebbiolo. Many of the wines Gervasi produces are made from grapes grown directly in the vineyard and are readily recognizable to the savvy wine lover. With prices for most bottles ranging between $20 for many of the whites to $28 for some of the reds, these are reasonably affordable wines. Ciao Bella and Bellina - Two examples of Chardonnay; Ciao Bella is an oaky Chardonnay with loads of citrus and orchard fruits, while Bellina has a more restrained oak profile and displays more tropical and stone fruit aromas. Fioretto - A crisp, bright Sauvignon Blanc with lime, lemongrass and green apple notes. Lucello - An off-dry Pinot Grigio with ripe pear, lemon and apple flavors. Velluto - A light Pinot Noir with a cherry and raspberry-dominant nose. Abbracio - A full-bodied Cabernet Sauvignon full of plum, cassis, and black cherries, rounded out by vanilla and spice notes from oak. ZinZin - A bold Zinfandel with characteristic black and red berries, and a subtle touch of oak. They offer a wide scope of choice for such a young winery. True to their Midwestern locale, Gervasi also has Riesling vines, and the grapes are produced in both dry and late-harvest dessert incarnations. In addition to all these familiar grapes, Gervasi makes white wine from Vidal Blanc. A North American hybrid grape usually found in Canada and in states like New York, Virginia, and Michigan, Vidal Blanc is made in both dry and sweet styles. 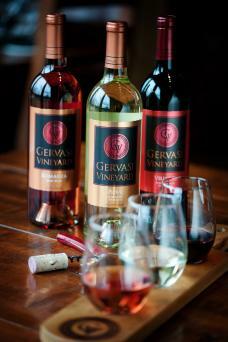 Gervasi's versions are Tesoro or "treasure," the dry Vidal, and Sognata or "dreams" the sweet ice wine. Ice wine is a rare treat. Grapes are left to hang on the vine until temperatures drop and the water in the grapes freezes, separating from the concentrated sugar-rich juice, which is then fermented to make these lusciously sweet wines. The method and style were perfected in Germany, but ice wine is also made in Canada, the Finger Lakes region of New York, and the Great Lakes, which of course includes Ohio. Aromella, for the sweet white Passione, with melon, honey and lemon zest aromas. Frontenac Gris, used for Lascito, a semi-sweet rosé, a tropical fruit-driven nose, accompanied by cherry and strawberry. Marquette, used in the Untia Family Reserve, a dry, medium bodied red that tastes of blueberries, blackcurrants, vanilla and clove spice. Their Wine Club offers curious oenophiles the chance to sample their many bottlings. 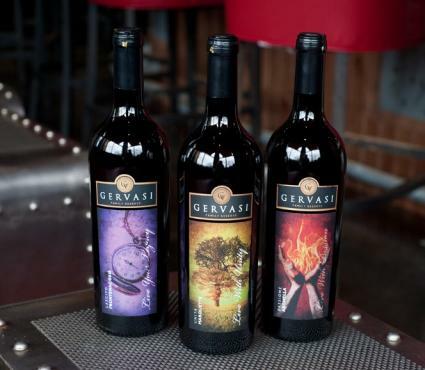 Many of the wines in the Gervasi portfolio have earned awards at competitions from the first vintage in 2010 and beyond. This success is largely credited to the skills of Calabrian winemaker Andrew Codispoti, who joined Gervasi in 2009, just a year before it officially opened. At the 2016 Finger Lakes International Wine Competition, Abbraccio won "Best in Class Cabernet Sauvignon," ZinZin picked up a Double Gold Medal, and several others went on to win gold, silver, and bronze. In addition to making wine, Gervasi also brews craft beers with partner Thirsty Dog Brewing Company. Locally brewed, they offer three selections: a farmhouse ale, a pale ale, and a stout. The raw beauty of the Gervasi property is undoubtedly why it's popular as a wedding spot, and what draws people to the many concerts and events it hosts throughout the year. Its wide selection of affordable wines, including those from slightly more unusual grapes, warrants further investigation from any wine lover looking to try something a bit different. 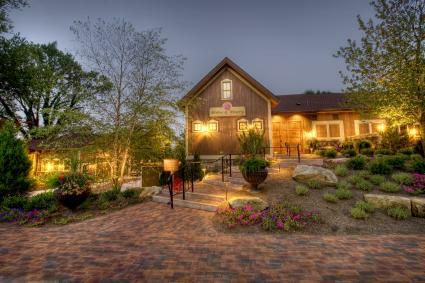 With so much to offer, Gervasi Vineyard is rated one of the top places to visit in Ohio.